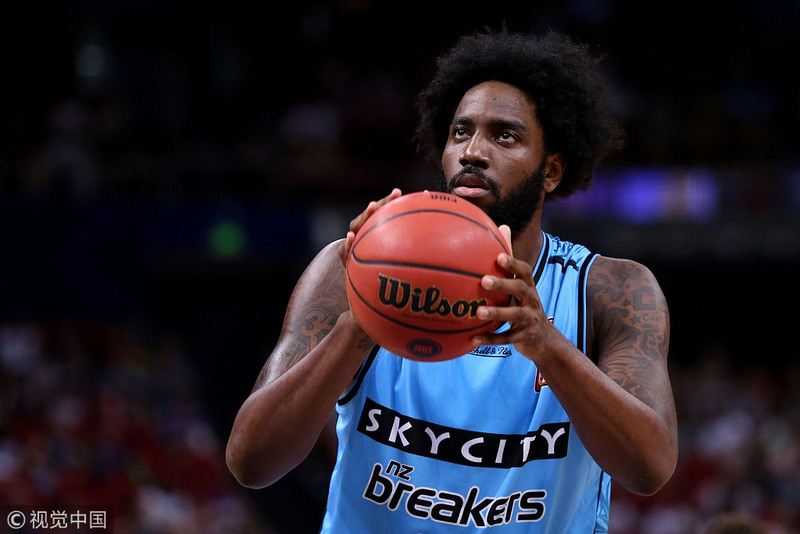 Rakeem Christmas shoots a free throw during the round 19 NBL match between the Sydney Kings and the New Zealand Breakers at Qudos Bank Arena on February 18, 2018 in Sydney, Australia. ZHENGZHOU — St. Croix’s Rakeem Christmas, formerly associated with the Cleveland Cavaliers and Indiana Pacers, has joined China’s Shedian basketball club, a team in the National Basketball League located in central China’s Henan province. “I’ll try my best to rebound to create more opportunities for my teammates, and I’ll carry out the coach’s tactics well,” Christmas said. Christmas, 26, was selected by the Minnesota Timberwolves with the 36th overall pick in the 2015 NBA draft, before his rights were traded to the Cleveland Cavaliers. He played in the 2015 NBA Summer League, where he averaged 8.0 points and 4.5 rebounds in four games. Christmas, a 6-foot, 7-inch forward, was later traded to the Indiana Pacers. He also joined Turkish club Galatasaray and the New Zealand Breakers. Another American player, Frank Gaines, also signed with the Shedian basketball club. The 6-foot, 2-inch guard Gaines went undrafted in the 2013 NBA draft, then he was selected by the Maine Red Claws with the 1st pick of the second round in the 2013 NBA Development League Draft. He then played in Italy and Germany.